Business Utilities – Switch your Business Gas, Electricity & Water! Looking for a better deal on your electricity? 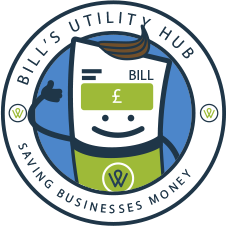 In just a few steps you could be saving money every month by switching your energy supplier. Whether you’re up for renewal or moving to a new business premises, we’ll do all the hard work, making the process simple and hassle-free. However, we are experts in our field and know the ins and outs of every supplier, tariff and contract out there. As a result, a member of our team can offer you independent energy advice and conduct a full energy market to source the best deal for the needs of your business. Get caught on the wrong water tariff and you might as well be flushing cash down the drain. We’re here to help you find the best possible deal for your business’s water and waste water services. A member of our team can help guide you through the switching process and help you make the most of your buying power in the newly deregulated market. Is that my phone bill or my phone number? If you’re always confusing the two, it might be time to see if you could save money on your business telecoms. We’ll do all the nitty gritty so that you can just the deal that’s right for you. Less money spent on bills means more money in your pocket. Don’t get left with sub-par internet speeds at extortionate rates. The right deal is out there; you just need to know where to look. We’ll sift through the riffraff to help you choose the right broadband deal for your business. Lightning fast speeds without the monthly shock of an extortionate bill. Here you will find helpful news and information regarding business utilities. Welcome to Watt Utilities, an established Utility Brokerage for the commercial energy market. We have worked alongside the UK's leading electricity and gas suppliers for over 10 years. Our purpose is to ensure our clients journey through the commercial energy process is low maintenance and cost effective. Our employees will provide fantastic customer service and complete transparency. Business Utilities - It's Watt we do.